You are here: Home / Training / I feel so alone! If our bundle of energy is lying clumsily or looking sad or not eating well and losing drastic amount of weight, most probably he is not well…as he is not in his actual spirits. No matter how hard we try to bring that lovely smile back…we fail. And medical tests do not show any pathological cause for a change in his behaviour. 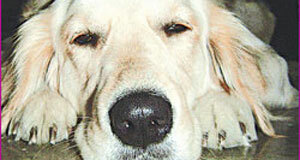 In such cases, it would be foolhardy to assume that depression in canines does not exist. Like a child they do crave for love and affection. 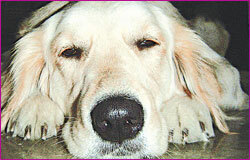 We have observed several positive changes in our dogs by just following some simple lifestyle changes (no medication). By doing so, we are fighting against this invisible enemy – DEPRESSION. Here’s some more to help you avoid the pitfalls that let your dog get the blues in the first place. Literally speaking, depression is a “pathological state in which there is a general diminishing of all psychic activities and that specially affects affective behavior.” Hence depression has direct links with behavioral changes. The depression in dogs can be broadly classified into two – endogenous and exogenous. It is caused by genetic predisposition; some inherited genes might cause it. Selective breeding is the only way to weed out this problem. However in most cases it is just a lack of sensibility on the owner’s part, which makes us overlook the underlying reason for the dog’s change in behaviour. A visibly normal situation for us can sometimes be distressing for the dog…so be extra careful, while dealing with our furry angels. It is caused by external factors, which can be of various types, like moving to another house i.e. change of place; changing owners; lowering level of family’s affection; isolation or separation from other pack (family) members; lack of socialization with other dogs; chaining for many hours a day; continuous breaking of rhythm sleep/watch; loud noises (like crackers) or other changes in the living environment. Many of the causes mentioned above can be avoided with little care and pampering; a sensitive parent can easily read the dog’s mindset. It would be better to let the dog get friendly to a new owner or changes (if you are going on a vacation leaving the pet behind) and gradually increase the time spent rather than making overnight changes. If you have to leave your pet alone at home while you are at work, train him accordingly, so that he is used to a few hours of confinement every day. Similarly socialization with other dogs and humans is something you need to do regularly, once your dog has finished his vaccination shots. Introduce your dog gradually to loud noises like vehicles, pressure cooker, crackers etc. Make a cassette/CD with these sounds and play it at a low volume when the pup is around. Gradually increase the volume over a period of time till your dog gets immune to these sounds. Never be harsh to him. A dog is a part of the family, chaining is a complete no-no. Stimulate him : Reduced physical activity is a major reason for depression in some dogs. So, you can help your dog perk up by providing him with more attention, affection and activity, keeping him occupied by doing things that he likes, taking him to the park, car trips, buying him a toy that provides mental stimulation, teaching him easy games or setting up play dates with a friend’s pet etc. Spend 15 minutes a day brushing him or giving him a massage. These measures will surely work wonders and soon he’ll start looking forward to this new routine, and it may help him feel a lot brighter. Be patient : Time heals all wounds and your dog may need time to feel the positive impact. So, be patient. Give him his time. Good timing : Never overprotect or console him when he is whining, as it will only reinforce his fears and lead him to believe that it is the best way to call you. Instead give him attention when he is sitting or resting quietly. During your dog’s depression, don’t give him attention when he’s exhibiting behaviour you don’t like, as it will reinforce this negative behavior. Medical help : In severe cases of depression, your vet may advise anti-depressants or other treatments. But remember such medication does not work without active involvement from the owner in administrating the medication, giving feedback to the vet and helping the dog through lifestyle changes. Love ‘n’ care : Most importantly, give your dog lots of love. If you feel he is depressed but not sure, you can go ahead and incorporate these changes. After all an overdose of love won’t harm your dog…and as they say love conquers all. So, help him come out of this bout of depression and your bundle of energy would again light up your life…like before. http://www.dogsandpupsmagazine.com/wp-content/uploads/2007/03/I-feel-so-alone2.jpg 160 300 Dogs and pups Magazine http://www.dogsandpupsmagazine.com/wp-content/uploads/2017/05/1254nal.jpg Dogs and pups Magazine2007-03-14 00:00:002014-02-07 17:38:53I feel so alone!